Could this be our first glimpse of the latest incarnation of the Teenage Mutant Ninja Turtles? A recent Wall Street Journal Online article presents this image along with remarks from Ciro Nieli, an executive producer on the new Turtles show for Nickelodeon. The coming computer-animated version will be slightly different than past incarnations. The four turtle protagonists, who previously could only be distinguished by the color of their masks, will each have "more individual attributes," Mr. Nieli says. The show will stress their martial-arts combat abilities, he adds. 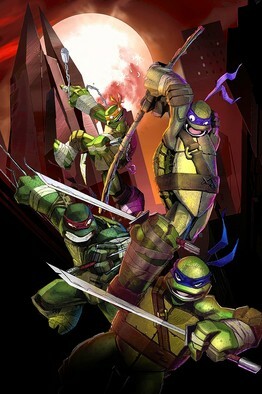 In addition to the new cartoon, there is also a Ninja Turtles feature film in the works that will mesh live actors and computer animation.